Most of the people believe that their corporate experience is enough to plan and manage any kind of event. However, the events are parties are something which belongs to a completely different profession. 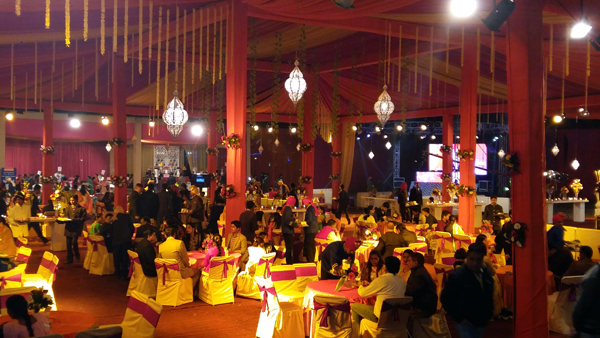 This is why it becomes necessary to hire an Event Planner in Chandigarh to get the best and successful outcomes. It is quite frequent to observe that when people try to work on their own to plan the event, they usually end up spending big money. So, here we bring you five amazing reasons to hire a corporate event planner for your next event. Cut down expenses: some people believe that hiring an event planner could prove to be expensive but actually when you hire an event planner they can help you cut down the expenses. The event planner companies have a lot of links with the catering, rental companies, and other suppliers which can help you get big discounts. Saves Time: when you think of hosting a big corporate event, it brings you a lot of responsibilities. This gives you no time to focus on your work routine and even your home. But when you have an informed and experienced event planner with you, they help you save a lot of time with the complete management of event from bookings to the execution. Marketing Assistance: if you want to host an event which needs to be organized to create better awareness of the product or brand, an event planner can be of huge help to you in planning a perfect marketing strategy. Most of them have some great corporate links that can help in getting exposure for your business. Perfect Advice: the event planners have a lot of experience to manage and host the corporate events. Moreover, they have spent years working in Wedding Halls in Chandigarh to execute an event with grace. This means the event planner could easily help with right advice needed to tackle any sudden eventuality and prevent your plan to become a nightmare. Better Negotiations: last but not the least, the event planning firms have a lot a valuable links and reputation in the market, this means they could easily negotiate with the vendors and suppliers to provide all the necessary stuff for your event at most reasonable prices. Overall, hiring an event planner is completely a value for money and if you are planning to host a big bash event for your business, make sure you have a back from our expert event planning. Reach us for best assistance.